A mood board is a collage of images, text, and colors to organize and bring an idea to life. Mood boards are great when brainstorming your brand identity whether for your personal brand or business brand. There are hundreds of mood board templates you can download for free online, most in PSD format. The good news is you don’t have to be a Photoshop expert or designer to create a mood board and creating a mood board doesn’t have to be difficult. Creating a personal brand is essential, not only for entrepreneurs, but all professionals throughout their careers. These days, almost everyone has a degree, many have started or already run a business, and almost everyone establishes themselves with the credentials they have. This is where a personal brand is important. Your personal brand will communicate to the world what you stand for, is a marketing tool for who YOU are, and it will help you stay focused. A personal brand will set you apart from others and establish you as a leader in your industry. What are your values or what’s important to you? Keep your thoughts positive and affirmative when answering these questions and write what immediately comes to mind. Continue to edit and rewrite until you narrow down your mission statement to no more than 2-4 sentences. 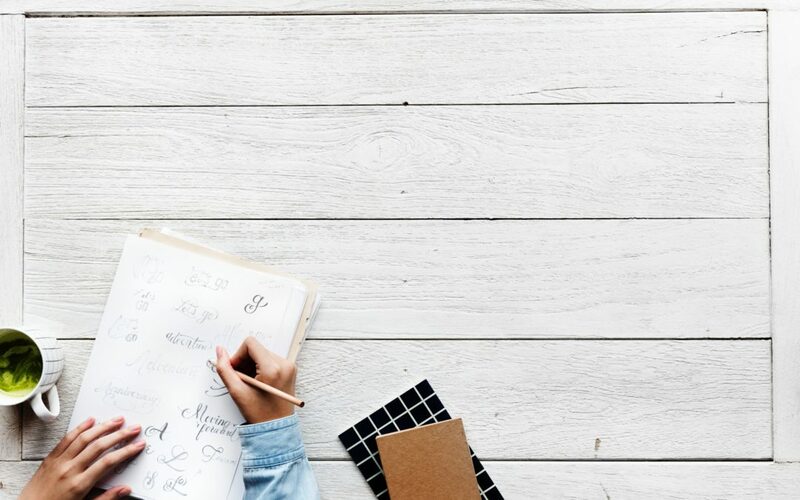 Your mission statement can be in the form of a short paragraph or bullet points; the goal is to have a mission statement that effectively communicates who you are. If your mission statement were a poster board, what would it look like? The next step is to communicate your personal mission with visuals. What main ideas or themes do you find within your personal mission statement? There may be keywords like “learn”, “lead”, “inform” etc. What is your personal style? Is it old-fashioned, conservative, minimalist, urban? What visuals would best represent these main ideas? You can use images of artwork, photographs (even those you have taken yourself), words and quotes, even patterns or shapes. Choose visuals that you feel represent your brand and your main idea the most. These sites offer high resolution photos for personal or commercial use. Google Image search is great as well. Visit Google.com and click on Images in the top right corner. At this point, do not worry about image licensing; however if you do plan on using your mood board for anything apart from personal use, I would refrain from using Google Images. I recommend up to 10 images that represent your main idea with about 2 – 3 as your primary inspiration. Each color can represent a certain meaning or emotion. The colors you select for your personal brand should match the emotion, mood, or personality of your brand. Is the personality business-like and serious? Is it energetic and bright? Warm and friendly? Below is a chart that may be helpful in getting to know the meanings or emotions of each color. 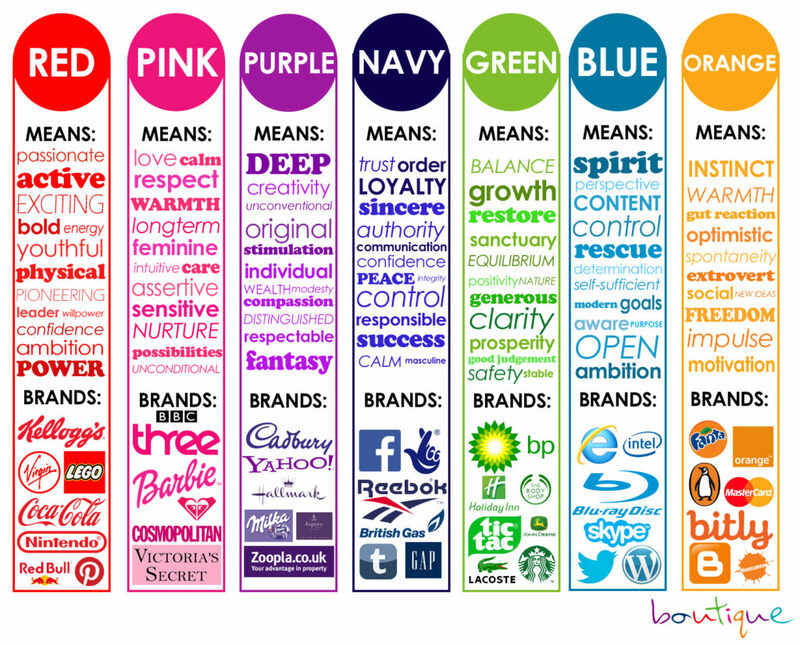 It is also a good idea to learn about other brands and what colors represent their personality or tone. Once you have your color palette, you will need to retrieve the color codes. Having the RGB and Hex codes for the colors you use are important because you will need to use them or provide them to a designer for marketing material like your website, social media graphics, or your letterhead and business cards. To get color codes, I like to refer to a website called HTML Color Codes. Here, you can upload an image, click on “Show Image”, and then click within the image to get the color code. If you then need the RGB, another helpful resource is 2CreateAWebsite.com. Here, you can convert the RGB or Hex code into the code you may not have. Typeface is an important component to your brand because, like colors, they communicate a tone, a personality or an emotion. If your tone is business-like and conservative, you may not want to use a stylish or script font. Or, lets say your tone is fun, inviting and energetic, you may not want a serious font like Times New Roman. A resource I like to use that is completely free is DaFont.com. A general rule of thumb is to use only two to three fonts and using a neutral serif and san serif combination. Another common combination is a script font with san serif. These combinations work well as long as there is enough contrast between the two fonts. A great place to view popular typeface combinations is Google Fonts. Google Fonts provides the different styles of the font, a little history about the font, and popular pairings. I recommend selecting no more than two fonts since it can start to look confusing when using three or more. However; rules can be broken so, do your research and test different fonts in order to find the right combination that will properly represent your brand. PicMonkey is my “go-to” for quick image editing and graphics. They have added so many features and new fonts so it’s a great, handy tool especially for non-designers. One of the features they offer are collages. They have different layouts to choose from, and although they have pre-made layout templates, you still have the capability to drag and drop for some customization. My favorite template is the Pinterest collage layout to use for a mood board. Canva is similar to PIcMonkey but they have a larger selection of templates to use for many different types of graphics. Unlike Pic Monkey, one of their features caters specifically to mood board creation and offer a variety of templates. Like Pic Monkey, Canva is definitely on my favorites list. If you like the idea of creating many mood boards digitally, Pinterest may be a great option for you. You can create “boards” in Pinterest which look like a digital mood board. You can make your boards public or private and share them with other Pinterest users. Other digital mood board options are GoMoodboard.com and Niice. These sites offer layout templates as well and are great for your own mood boards or when working with a team. Last but not least, another option is some good ol’ arts and crafts! Grab a poster board, some markers, print your photos and other assets or cut them out from magazines and create your mood board. I personally like this method because I turn it into a family project by involving my daughters. I have created vision boards with this method as well. It’s a great way to easily see it everyday for constant inspiration and to stay focused. Have you ever created a mood board? What tools have you tried? If you will be creating your first mood board, what tool catches your attention the most from those mentioned here?